Walter Kahler is a clear communicator offering a contemporary and creative teaching style. 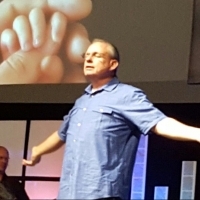 He is the Senior Pastor of HighPoint Fellowship Church, one of the fastest growing churches in Montgomery County. Walter and his wife Cherenne, helped found the church in 1993; since then it has grown very quickly in attendance, health and commitment. Walter believes the church should be relevant, energizing and fun. He strives to remove the barriers of boredom, unfriendliness and fear so that people will experience a real relationship with Jesus Christ and not religion. Walter uses humor to keep his messages relevant and his illustrations memorable. Walter has a passion to see the Great Commission lived out and has led the church to be a global mission strategy center. HPF is actively involved in local and global missions. Since 2005 HPF has been an “ Engaging Church” of unreached people groups in Mali, West Africa and HPF has made several trips each year to share Jesus with people who have never heard of Him. Walter graduated from Houston Baptist University, received his Master’s Degree from Trinity Theological Seminary in Newburgh, Indiana and his doctorate from Louisiana Baptist Theological Seminary in Shreveport, LA. 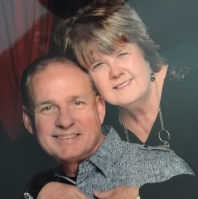 Walter and Cherenne have been married 44 years and have 3 children and 7 grandchildren.